Which team are you with? You can vote once a day until December 1st. 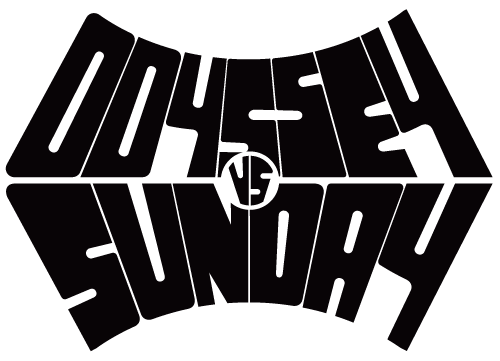 ODYSSEY vs SUNDAY features riding from Broc Raiford, Gary Young, Justin Spriet, Matt Nordstrom, Tommy Dugan, Travis Hughes, Jacob Cable, Aaron Ross, Alec Siemon, Brett Silva, Chris Childs, Erik Elstran, Jake Seeley, Mark Burnett, Jared Duncan, and Julian Arteaga.